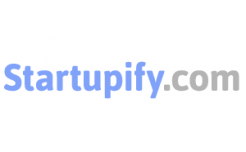 A basic web application for visitors to post their startup story of the day. Website visitors are allowed to post a message (limited character length) about their startup experience or thoughts of the day. After the message is posted, other visitors can rank their favorite story/experience. I currently have this up as a private tech community in which you must be working on a startup in order to be a member. I don't know if I like the private tech community or the open one more. I am open to anyones ideas. I've installed Devise and have it running. I've been running into bug after bug with installs unfortunately. I'm a little behind due to a devise bug that I had to fix. Please leave some feedback for me!